By this measure, the war in Libya has been almost entirely a failure. The rebels’ failure to promptly break the stalemate with loyalist forces has forced NATO countries to escalate their air campaign far in excess of what was originally imagined, has raised tricky questions about the constitutionality of executive branch military interventions in the US, and drawn international attention to the relative weakness of NATO as an expeditionary force. The ability of rebel leaders to impose meaningful disciple on their forces has also been increasingly questioned, and suggest that post-Qaddafi Libyan leaders will have a difficult time establishing functioning unified government. Violent reprisals and looting are common occurrences in war, and will likely continue after a rebel victory. By entering the Libyan civil war NATO has tied its credibility to an eventual post-Qaddafi regime it has no control over, creating the potential for an embarrassing implicit NATO endorsement of an abusive Libyan government. 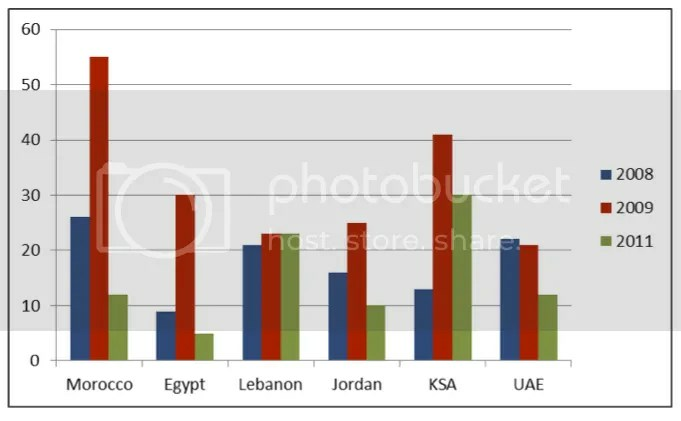 Adding evidence that the Libyan war has apparently had a negative effect on Arab perceptions of the US — interestingly, higher Arab approval for Sarkozy suggests that most Arabs don’t identify Europe as the primary architect of the Libyan intervention — does not leave a very high payoff for the US even in a best-case conclusion of hostilities. While the costs of the Libyan war have admittedly not been high in comparison to other recent American wars, it’s doubtful that it will ever fulfill any reasonable cost/benefit calculus. That doesn’t necessarily mean that it is morally indefensible (though in terms of pure human suffering, prolonging the war has likely imposed more costs than a quick Qaddafi victory), but most of the benefits the US hoped to win from a successful Libyan intervention are no longer possible. I don’t think the US should meddle in some countries’ affairs because the anti-American sentiment is already high in a lot of countries, especially those in the Arab world. This will just continue to make them less and less popular.